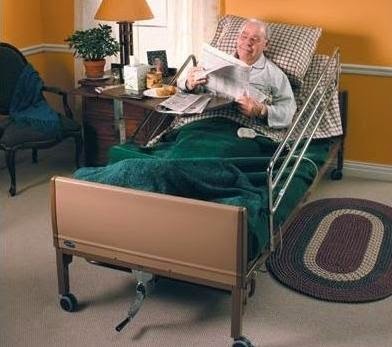 Get Invacare's Flagship Full-Electric Home Care Bed with Rails and Mattress at a new LOW PRICE! You're up and running in no time. Fast delivery, easy setup, and Invacare's IVC5410 full-electric includes everything you need. Standard Hospital Bed size (36"W x 80"L) is maintenance-free and designed for maximum comfort. All positions are controlled with easy to use hand control.